Despite the great strides made in the fight against HIV/AIDS related stigma, Women living with HIV/AIDS and or widows in Sub-Saharan Africa still live in squalid conditions. Yet these women have the burden of raising their children on their own, and know that the future of their children is dependent on being educated. These women need money to pay for school fees and related school materials for their children. It is with this in mind that IPI approached one of its friends and partners Ecologia Youth Trust of U.K to assist in getting funding to help community women get skills so that they can fend for themselves instead of relying on their absentee husbands. The women were first trained on their human rights as enshrined in Convention on The Elimination of All Forms of Discrimination against Women. Through the grant, IPI has been training 40 women in jewelry making, entrepreneurship and after the training, we plan to take them marketing of their products and then give them a seed fund to start their own jewelry selling business. 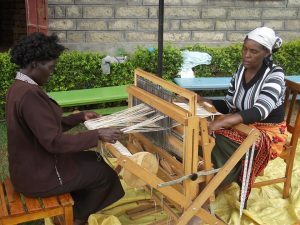 Due to the existence of the high demand for skills in the Meru community by young women, IPI approached one of its friends and partners Ecologia Youth Trust of U.K to assist set up a tailoring school at its Amani Home. In May 2013, Ecologia got a grant for the project and on July 2, 2013, 15 young women started attending clothing and textile classes. The project has been a success so far and it will run for one year. 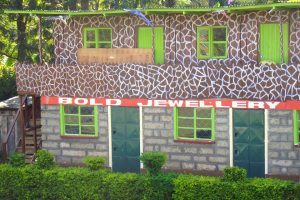 BOLD, which stands for ‘Bettering Our Lives by Design’ is the IPI store which sells the products made by the different cottage industries developed by IPI to support the various programs. “Beads 4 Peace”, our jewelry project, provides the women with economic, social and spiritual strength, independence and empowerment. The jewelry is designed and produced by local women using local seeds, Kenyan Amber made in the group’s workshop, and other stones with all proceeds given directly to the workshop workers salaries, the women, and to IPI’s programs. BOLD encourages investment in women by providing them with a platform for economic independence giving them the freedom and choice to direct their own fate and break out of the cycle of poverty, helplessness, and hopelessness. BOLD educates these women on the advantages of participating in income generating projects as a means of supporting themselves and creating self-reliance. BOLD has also been significant in granting women social and spiritual benefits by providing a forum used as a psycho-social support network. As the women come together to work they share their challenges and experiences providing comfort, encouragement and ideas on how to better their lives. Additionally, this ‘peace-building initiative’ allows the women to identify together what aspects of their lives they are not at peace with and to subsequently commit to a specific course to transform that situation. While BOLD offers a chance for economic betterment and personal empowerment, the project’s most significant role is in providing a platform to move from a state of hopelessness to a state of hopefulness and empowerment.